Between the poles of dreams and talents, there are guidance counsellors, drama teachers and lawyers trying to pave the way – when suddenly, without warning, a door slams shut. Which impulses do you follow? Which decisions do you make? And how will you react when a decision is taken out of your hands? My original self-made short film project developed more and more while I was writing the screenplay. At some point I was seized by the ambition to produce a legitimate short film that I can submit to festivals. This obviously means that I can’t accomplish the whole production by myself – and I don’t have to. The help and support of those around me is overwhelming and keeps motivating me. To do justice to this great commitment and to make the film – which already exists in my imagination –, I need a film crew that knows what they are doing and have the necessary equipment. State of the art equipment is expensive. The craftsmanship and artistic talent of the director of photography and our crew and cast is of course invaluable. The effort everybody is putting into my project by far exceeds the funds I could ever raise. However, to cover the basic costs for equipment and to value everyone’s time and creativity, I need your support! The entire budget is estimated at CHF 30’000. Half of that is covered my me and two very generous donors. For the remaining CHF 15’000 I am counting on the «crowd», namely your contribution! If the completed film makes any profits – I’m allowed to dream – the money will be invested in future projects. There’s no shortage of ideas! To let you know who your donation goes to, here are a few facts about me: My name is Kathrin Wüscher. I grew up in Schaffhausen; the daughter of an artist and a physiotherapist. I was fascinated with acting early on and I am to this day. However, being a shy little girl with good grades, I was not predestined for the stage. The academic path seemed to be the logical choice and I took it. After graduating from law school, though, I finally summoned the courage and went to a New York drama school. 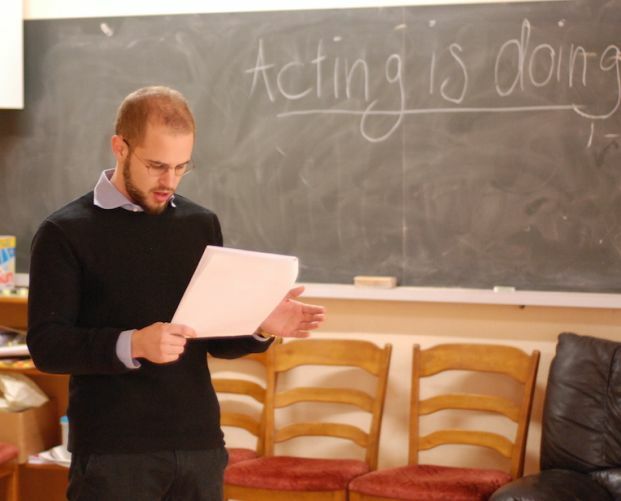 This fascinating, informative and very enriching year confirmed my old passion for acting. Despite this, I returned to Switzerland in 2012 and started working as a clerk of the court, which I still do. So far I haven’t been able to choose one or the other path. This situation inspired my screenplay with the working title «Dilemma». 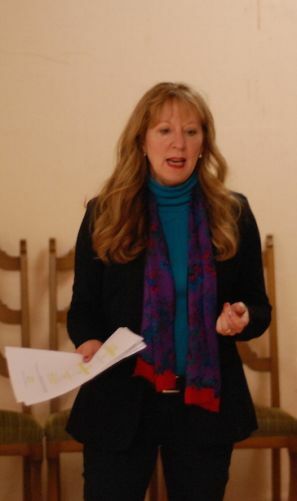 I got to know the talented amateur actress and director, Suzan Wilson, through the Semi-Circle Basel – the English language theatre group I joined in 2012. Suzan volunteered without hesitation to be my assistant producer. Apart from her, other Semi-Circle members have offered their help as well, and I can call on them as needed. As director of photography I was able to acquire the talents of Andreas Schenker. He has years of experience as a camera operator and owns a wide range of equipment. He just recently finished a workshop in L.A. learning alongside the best cinematographers in Hollywood. Andreas Schenker is working on my project with a lot of enthusiasm. He shares my ideas of visual language, narrative style and rhythm. The above teaser is an excellent example of his outstanding work. I am excited to work with him and his crew. Actors from all over Switzerland, Germany and England answered the casting call. I am convinced that I will put together an experienced and talented cast for my film. Friends and relatives are also helping whichever way they can – everyone gets a task. This project ended successfully on 31/8/2015 10:00! You’ll receive an autograph card with a photo of the cast, signed by all the actors. You are invited to a private screening of the completed film and you’ll receive an autograph card with a photo of the cast, signed by all the actors. You are invited to a private screening of the completed film with drinks and a meet and greet with me, my crew and some of the cast. In addition you’ll receive an autograph card. You are invited to a private screening of the completed film with drinks and a meet and greet with me, my crew and some of the cast. In addition you’ll receive the DVD of the film and an autograph card. You are named as a supporter in the credits, are invited to a private screening of the completed film with drinks and a meet and greet with me, my crew and some of the cast. In addition you’ll receive the DVD of the film and an autograph card. You’ll have a role in the film as an extra, are obviously named in the credits and receive the DVD of the completed film as well as an autograph card. You are named in the titles as a Co-Producer. In addition you are invited to an exclusive screening in the artist’s studio, which is one of the film sets, followed by dinner in the artist’s house Belair in Schaffhausen. Of course you’ll receive a DVD of the film and an autograph card. 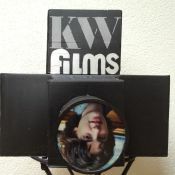 The name «KW films» was born years ago when my christmas wish was a video camera and my dad fashioned a «voucher» in the form of an old timey camera. About a year ago, when I started my first short film project, there was no doubt in my mind that this would be the name of the production.